The NBA trade deadline has come and gone, with Anthony Davis remaining a member of the New Orleans Pelicans. He was back in the lineup Friday night, returning from a finger injury that had held him out the previous nine games. Some Pelicans fans made it clear they were no longer behind him, though, showering him with boos during pregame introductions as well as every time he touched the ball. It should be noted, though, that there were cheers for Davis as well throughout, and that the boos directed at him turned to cheers when he put in his first two baskets of the night. It was a bit of a surreal scene, but understandable that Davis would receive this reaction. After all, the 25-year-old who was the first overall pick in the 2012 draft demanded a trade away from the team and city. But he wasn't traded and barring injury, Davis has to play regularly the remainder of this season, per NBA rules . He's also still the Pelicans' best player. If he is going to receive this reaction for the Pelicans' remaining home dates, things are going to be awkward at the Smoothie King Center. Davis mostly quieted the boo-birds – with the most notable exceptions being a few trips to the free-throw line – with a great performance. He scored 32 points on 11-for-15 shooting and a 10-for-11 mark at the line, while pulling down nine rebounds in just 25 minutes. Davis did not play the fourth quarter, however, and no reason was given on the broadcast. The Pelicans pulled out of an early 18-point hole and won 122-117. 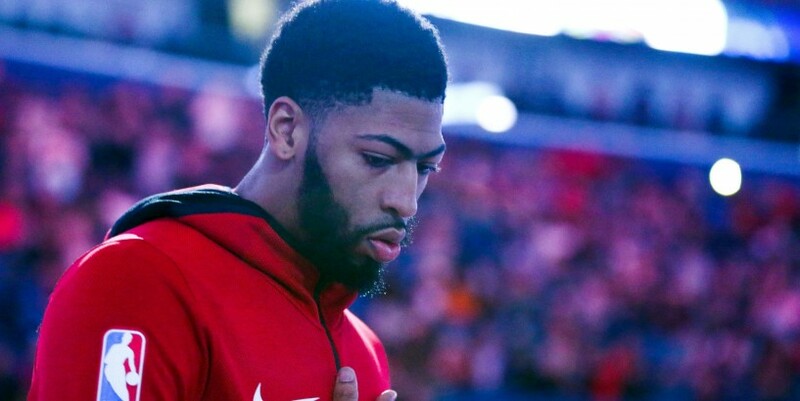 "Whenever I'm called upon to play basketball, that's what I do," Davis said after the game on ESPN when asked about not playing the final quarter. He noted he was happy to get back on the court, and even with "all the boos and all that, it was fun for me." "My job is to play basketball, and that's all I want to do." Pelicans coach Alvin Gentry told reporters after the game that Davis didn't play in the fourth quarter because of an agreed-upon minutes restriction in his first game back.